Machiche Decking (pronounced "Mah-CHEE'-chay") is a 100% FSC® certified high density hardwood decking material which is sustainably harvested and affordably priced. This beautiful and durable hardwood has many characteristics that are similar to Ipe hardwood. Like Ipe decking, Machiche decking will age gracefully to a mellow silvery patina if left to weather naturally. 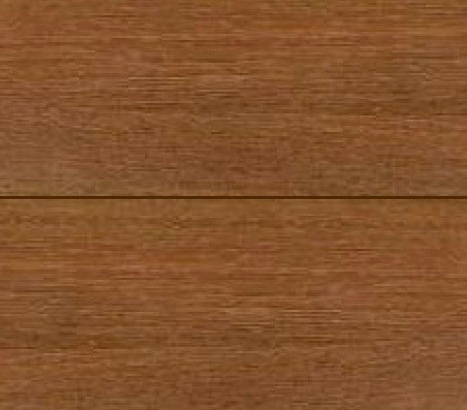 Machiche hardwood may be used outdoors for decking, siding, trim, furniture and other projects. What's so special about Mataverde® Machiche decking? Mataverde FSC® Machiche decking is kiln dried to approximately 12% to 14% moisture content, making it an extremely stable decking material. 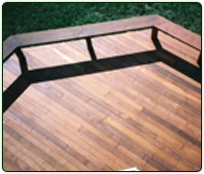 At this moisture content, Machiche decking has a bending strength of 25,938 psi. In fact, Machiche decking has a higher bending strength than Ipe decking! Machiche decking also has a hardness of 2,805 lbs, which is about 80% as hard as Ipe and more than twice as hard as oak. Mataverde® 100% Pure FSC Machiche Decking has very good dimensional stability and shows only minor movement after manufacture. Being a kiln dried decking material, Machiche Decking has a low shrinkage and minimal checking that provides a deck surface that is just right for you and will last beautifully for many years to come. Machiche decking is among one of the most popular and beautiful styles of premium hardwood decking. Learn why Mataverde Machiche is different than other decking materials. Mataverde® 100% Pure FSC Machiche Decking is all heartwood, ranging in color from light brown to reddish brown and medium chocolate brown colors. Like Ipe decking, Machiche decking will age gracefully to a mellow silvery patina if left to weather naturally. With a coat of rosewood oil penetrating sealer, Machiche decking develops into a rich chocolate coloration. Machiche decking is a medium grained high density hardwood and looks stunning as a decking material. Machiche decking is among one of the most popular and beautiful styles of premium hardwood decking. Would you like to know what Machiche hardwood will look like as it ages? 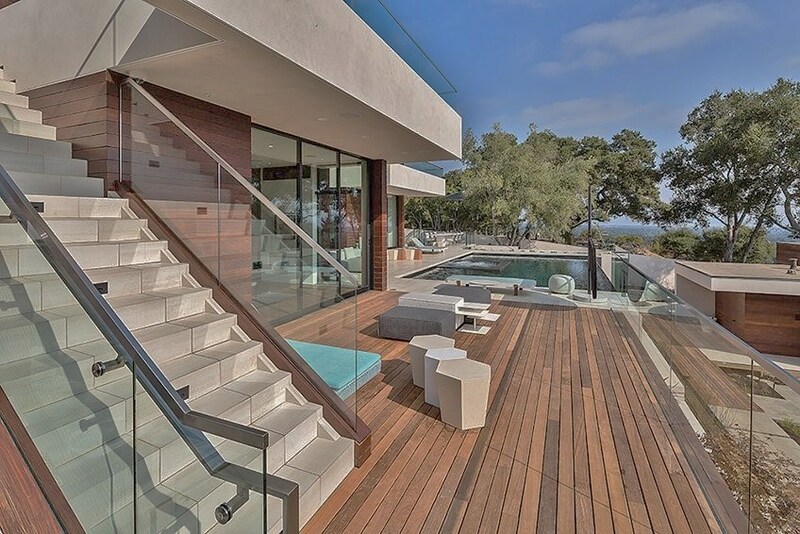 It's true that Machiche is a high performance exterior hardwood. But Machiche is still an all natural wood product, and all woods will react to the effects of nature and exposure to the elements over time. With Machiche hardwood, there are appearance options you can choose from. Would you like to learn more and see the rest of this story? Download the comprehensive FREE GUIDE, "How Exterior Hardwoods Weather". DURABILITY Mataverde® Machiche FSC decking is a tough, high density hardwood decking wood with a medium to coarse grain. With a slightly lower density than Ipe or Cumaru, Machiche decking is more than twice as hard as Oak. HARDNESS Machiche wood has a hardness of 2,805 which is about 80% as hard as Ipe and more than twice as hard as oak. When properly used and cared for, Machiche decking is highly resistant to shrinking, splintering, twisting, cupping and checking. Machiche decking is highly durable, extremely hard and dense and is very resistant to a wide range of punishment. Machiche decking has a bending strength of 25,938 psi. 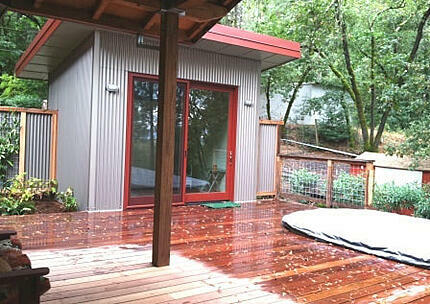 In fact, Machiche decking has a higher bending strength than Ipe wood. This wood species is incredibly strong. DENSITY Machiche decking and Machiche lumber have a density of .897 g/cm3. With a slightly lower density than Ipe or Cumaru, machiche is resistant to lots of punishment in outdoor environments. Mataverde hardwood decking and siding FSC Certified Machiche has been tested and passed the flame spread and smoke requirements for Class A fire rating of the ASTM E84 testing with flying colors. By passing the intensive testing, Mataverde Machiche decking and siding has earned a Class A fire rating. The ASTM testing that was conducted with the Mataverde Machiche hardwood decking and siding, meets the same fire rating and testing requirements as the IBC (International Building Code) and the ANSI/NFPA (Amercian National Standards Institute/National Fire Protection Association) for a Class A fire rating. Like Ipe and other hardwood decking material options, Machiche wood will age gracefully to a gray-silvery patina if left to weather naturally. 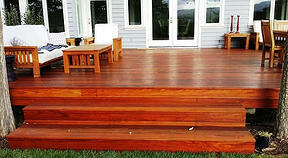 With a coat of rosewood oil penetrating sealer, Machiche decking develops into a rich chocolate coloration. Machiche decking is a medium grained high density hardwood and looks stunning as a decking material. Need help deciding which decking is right for you?